Get off at Vestre Kirkegård nord or Toftegårds Plads, from here you can walk the rest of the way. Transportation time is about 18 minutes by bus and 7 minutes walk from the bus stop. Alternatively you can take the train to Valby Station from the Hovedbanegården (Central Station). Transportation time is about 4 minutes by train and 15 minutes on foot. Masters Degree from Royal Danish Academy of Music. Owner of sound and media production company "Vellyd.dk"
Teaches at the Tonmeister section of Royal Danish Academy of Music. Sound technician and engineer, musical director and musician. Freelance sound technician and engineer at Danish Broadcasting Cooperation. Candidate degree in Sociology of Religion and Minority Studies. First Lieutenant in the Danish Army. Teaches at the Royal Danish Defense Academy. by Ethan Monnot Weisgard. Photos : Karsten Damstedt. 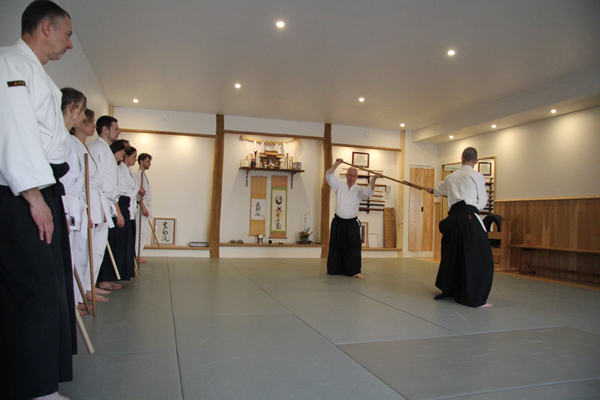 DAF is the first organisation in Danmark, which has gathered together the many different styles af Aikido. 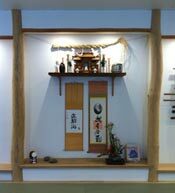 DAF is approved as Denmark's official representative for Aikikai Hombu Dojo in Japan.